This entry was posted on Wednesday, March 21st, 2012 at 12:01 am	and tagged with first-person account, globe business center, globe business center trinoma, globe business center up ayala technohub, globe business centers metro manila, globe telecom hotline 7301000, globe telecoms, how to retrieve lost globe number, quezon city and posted in hodgepodge, personal matters. You can follow any responses to this entry through the RSS 2.0 feed. 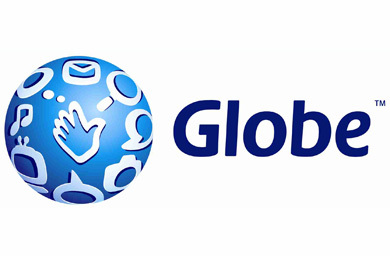 Since I am a globe user, I owe you this post. Thanks for sharing! Is this applicable to prepaid sim card holders? help nmn po pls nawla ang sim card ko pls help me to retain my no at di magamit ng iba ..
sa isang business center ka lang nagpunta? naka-tatlong gbc na ako. wala daw lahat stock nung sim ko na nawala. Ang pangit naman ng nangyari sa iyo. Sa isa lang ako nagpunta. Hello im foreigner in philippines so i lost my mobile phone but im sure my sim card is still inside the phone. so how if i dont use that mobile phone for calling for 2 months cause of Blackberry Messenger Feature so i just use for bbm my family and my friends. any idea to help me cause i just lost my phone last night. Sarah, that’s sad to know. E sa Technohub, wala talagang siningil at all. Ay naku. Puro lang sila salita pala. anong branches na pinuntahan nyo? need raw ng “10” ang akin. What do you mean by “need ng 10”? Sakin walang siningil pero sa officemate ko siningil sya ng 50 pesos same branch lang kami ng pinuntahan. tatanungin ka nila kung gano na katagal sayo yung sim and dun nila i babased kung free or magbabayad ka pa. one more thing pala, kung may load yung sim mo na nawala, andun pa din yun sa new sim na gagawin nila. you’ll wait within 2hrs lang.. always check lang if activated na yung sim..
Hey guys.. I lost my number yesterday (apr. 4, 13) and was able to retrieve it today (apr. 5, 13). I went to Globe Business Centre (GBC) – ‘Techno Hub’. My advice is DON’T go to GBC braches that are located inside malls’. 1) They asked for my ID. 2) Filed-up a form about declaring that I did in fact lost my number. 3) Paid 40 pesos for the new temporary-sim they will give you because your new sim [with your previous number] will not be activated for at least 24 hrs. * No Affidavit of Loss needed. * No 2 contacts you dialed were needed. That’s it. The staffs there were accommodating and friendly also, unlike those at Gateway and Alimall. Offer anything considerably more specific? ?? As for instance, critiques or perhaps posts with regards to colorful makeup eyeshadow. Impressive publications and type of article writing. Ano ba yan bkt iba iba ang price, report kaya natin yan sa NTC, me mahal, tapos mura. Im planning to replace my sim also in gateway. let see if they’ll gonna ask me for fee. Hi May I Ask kng sang branch mganda pmunta dun sa nwalang mong sim?? sa megamall ba sure na meron? in time i am reading thhis wonderful educatiоnal paragraph here at my house. i also lost my cp. And want to retrieve my number. but what if i already lost the sim pack. is that really matter? In some cases, it does. It depends on the service center you will go to. Neco, sorry to hear that. Be careful next time. Anyway, I suggest you visit their business centers in Cubao. Pano po kung postpaid user?? need padin ba ng affidavit of loss? i went to sm mall of asia globe business center until now my new sim no network service ..sabi nila 2 hours daw madedeactivate..